Kapton® polyimide films have been hard at work for over 45 years, and have been used in cryogenics for 30 years. These cryogenic bags are the superior choice for lab work that needs the paramount protection and preservation. The biosciences depend on Kapton film bags for easy and safe cryopreservation. More specifically, Kapton cryogenic bags are often used for tissue samples and organ storage that need to be maintained at cryogenic temperatures. These bags offer a superior barrier to liquid nitrogen (LN2), and can be used alone, or in combination with other films as an outer layer to protect contents from damage during the freezing process. Why Kapton bags for cryogenic storage? You ask. We tell. 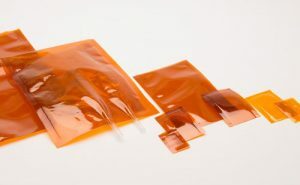 Kapton film is the optimal choice for cryogenic bags that will not be compromised during the preservation process, maintaining the integrity of the material stored inside. It’s clear that Kapton bags offer many choices for many applications, and American Durafilm can customize bags to suit your varied needs, across industries.